With names like Baja Blast, Code Red and the upcoming Black Label, it’s hard to know exactly what taste defines America’s fifth most popular soda. And that’s exactly how it’s meant to be. There's something about Mountain Dew that evades all definition. Its color is boldly unnatural. It tastes, approximately, like melted Life Savers, but unlike any recognizable fruit or flavor. There are no noteworthy Mountain Dew copycats or competitors. Mountain Dew exists, largely, in its own realm, separate from other sodas — and other beverages entirely. And that turns out to be a feature, not a bug. Thanks to its radical vagueness, Mountain Dew has managed to launch a procession of spin-off flavors, each as enigmatic as the original. (Mountain Dew Voltage, anyone? It's blue, and “charged with ginseng and raspberry citrus” flavor.) Those spin-offs have helped the brand do something none of America's other giant soda brands — Coke, Pepsi, Dr Pepper — have managed to: grow sales every year since 2010, despite a widespread sense that America is moving on from its love affair with soda. So this ambiguous drink is a big deal. But what is Mountain Dew, when you really get down to it? We thought asking the folks at Mountain Dew would sharpen our understanding on a matter of such great import, but the mystery surrounding America's fifth most popular soda only deepened. “We don't try to say what color the product is internally,” Greg Lyons, vice president of marketing at Mountain Dew, told BuzzFeed News. He called it “Mountain Dew color,” which really didn't push things forward much. We pressed further. “Neon,” he eventually said, reluctantly. 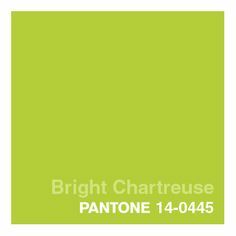 The official BuzzFeed style guide does not recognize “Mountain Dew” as a legitimate color, so we're going to stick with chartreuse. Like the best abstract art, Mountain Dew leaves plenty of room for interpretation. Since first launching as a whiskey mixer in Tennessee in 1940 — its name was old-timey slang for moonshine — it has successfully spawned a rainbow of spin-offs of differing colors, tastes, and fundamental natures. The packaging and labels across the different products are not consistent. No Mountain Dew variety looks or tastes like the other, and yet no one challenges their membership in the Mountain Dew family. Its owners see it as something that transcends the senses. Indra Nooyi, CEO of Mountain Dew owner PepsiCo, told BuzzFeed News that Mountain Dew is “an attitude. It's a fantastic attitude in a bottle.” And attitude never had a particular taste, per se. Mountain Dew is, at once, both nothing and anything. Some Mountain Dews are yellow, some are red, some are blue. Some taste vaguely like cherry, others like berries or lime, yet their names — “Baja Blast,” “SuperNova,” “Code Red” — don't attempt to evoke any particular flavor. Soon, there even will be a Mountain Dew sauce at Buffalo Wild Wings. Then there's Mountain Dew Solar Flare, currently available exclusively from the soda fountains at 7-Eleven. It describes itself as “Dew with a blast of tropical punch.” None of these words are a flavor, or a taste, or even an attitude.